Messy Wands: Nail Sociology and A Happy Holiday To You! 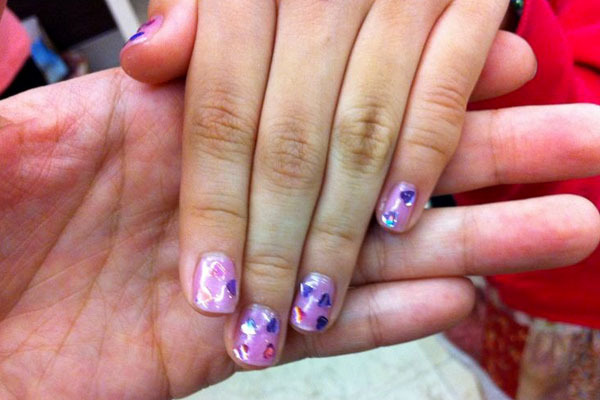 My sister sent me some pictures a few days ago with a note letting me know that she, my mother, and my baby sister all went for a mani/pedi together in preparation for a cousin’s wedding. I always take these happy updates with a tinge of sadness. While I love knowing what the family is up to back home, the unfortunate side effect is the acute pangs of homesickness that accompanies each photo she sends. Nevertheless, I derived considerable enjoyment from these photos for three reasons: 1) my mother doesn’t pamper herself often enough, 2) that picture of my baby sis? Priceless. 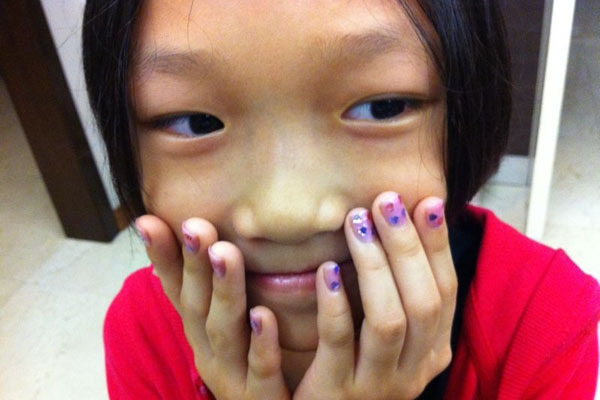 (Nevermind that I think 9-year-olds shouldn’t be getting manicures), and 3) their choices. They strike me as so age-appropriate it’s stereotypical, and I chuckled over this little bit of beauty socialization. Happy Thanksgiving, everyone! I hope you all have a wonderful time stuffing yourselves with turkey (pun?). I expect to hear stories about the wonderful food you had and inevitable food comas you’ll be getting. Great manis and pedis! Thanks for sharing! dani- She made me google it because she didn't know the color haha. 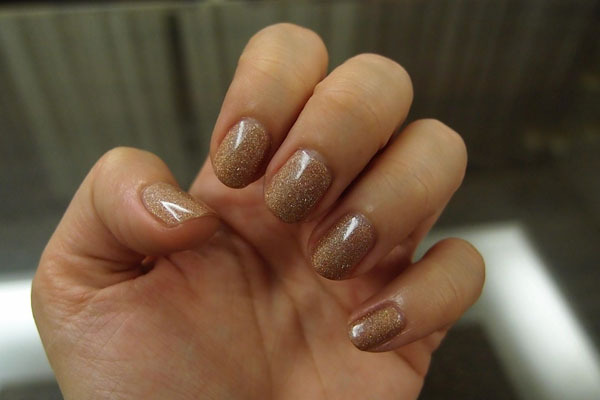 It's OPI Designer Series in Classic. Ah, I definitely loved having my nails painted when I was 9. 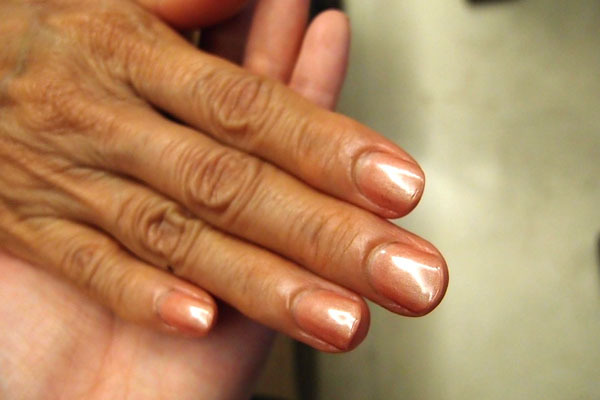 Salon manicures might be a step further than my mum doing it but it's still a treat. That last photo of your sister is gorgeous. Also, the colour on your mum's fingers is just what I need! Do you know what it is?